home / STARTicles / What Does the Future of Business VoIP Look Like? VoIP, or voice over Internet Protocol, is a technology that converts voice signals into digital signals, which are then carried over the IP-based network. Business VoIP systems offer a way for businesses of any size to get a host of features without expensive hardware and an IT expert on staff. 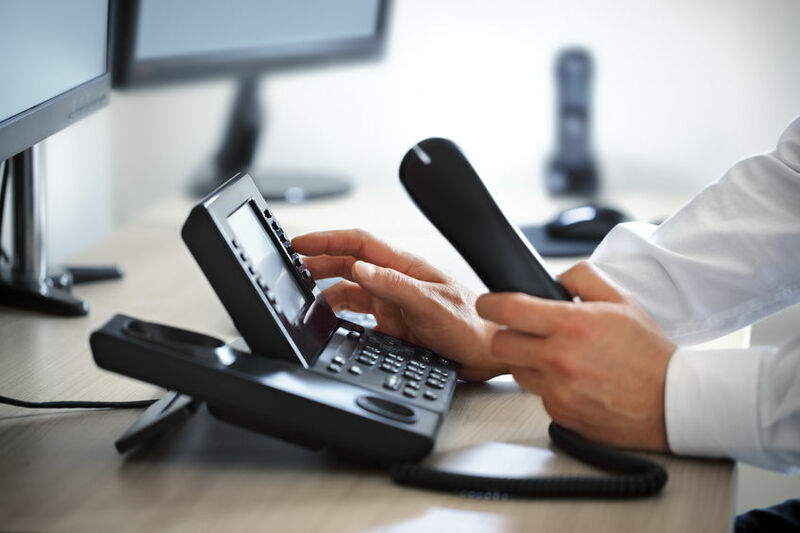 For many businesses, the appeal of VoIP is that it offers access into a phone and communications system from any location, integration with apps and software, upgrades through software, and features like call forwarding, conferencing, and electronic messaging. VoIP is also, in general, a less expensive system compared with traditional telephony. The business VoIP industry is driving much of the overall VoIP industry’s growth, according to market research. According to research firm Future Market Insights the corporate consumer VoIP market had 98.9 million subscribers in 2012, and that number is projected to increase to 204.8 million by 2020. With that in mind, we recently spoke with Yaniv Masjedi, CMO at Nextiva, a leader in the VoIP space. Based in Scottsdale, Arizona, Nextiva is a cloud-based communications provider that serves more than 150,000 businesses around the country. Kate Harrington from ChooseWhat sat down with Masjedi to talk about the future of business VoIP and the trends driving the industry. ChooseWhat: Roughly how many new subscribers do you see each year? Masjedi: Nextiva is experiencing more than 40% growth year over year. We see businesses of all sizes making the switch to cloud-based business phone services; clients run the gamut of industries and geographies, too. It’s an exciting time. CW: Are there certain industries that are adopting VoIP services more, or faster, than others? Or certain geographic areas where you’re seeing more customers? Masjedi: We are seeing growth across all industries. As far as geographic areas, back in the early days [in the 2000s] the majority of our growth happened along the coasts in places like New York and California. But that has changed considerably, largely because of bandwidth. Bandwidth is so much more reliable and prevalent right now that we are seeing businesses of all sizes and in all areas across the country making the switch to VoIP. CW: What size business do most of your customers come from? Masjedi: I’d say that early adopters of VoIP–back in the mid 2000s–were primarily smaller businesses. These were the businesses looking to save money during the recession. They were also the businesses open to making changes because there was arguably less internal red tape than inside larger businesses. Back, then the decision to switch phone systems was in the hands of one person vs. a board of people at a Fortune 500. All of that led to small businesses making the move to VoIP at faster rates, but we’ve seen that change in the past five to six years. Now we are witnessing an unrepresented rise in larger businesses making the switch. CW: What feature requests do you hear from customers? Masjedi: The most common feature requests are around mobility enhancements–being able to make calls from anywhere. In the early days it was all about making a call from a cell phone, but today it is more about enhanced functionality around mobility. CW: What do people not know about VoIP that you wish they did? Masjedi: Two things: First, it is easier to manage VoIP systems than traditional phone systems. And second, VoIP is continuously getting better. Here at Nextiva, we invest in research and development constantly, which helps enhance our network and make sure we are as efficient as possible–constantly meeting and exceeding the needs of our customers. We’re constantly trying to stay in front of those needs, whether it’s helping businesses do video calls – which is definitely a growing service – or being able to manage phone service from anywhere. We recently launched Nextiva Analytics, which gives businesses the ability to look at call data on every call so you can know how, for instance, a marketing campaign is performing. CW: What’s the most interesting thing happening right now in VoIP? Masjedi: Even though Nextiva and the larger VoIP market have come a long way, it is still interesting to see how much education needs to be done. Many businesses still don’t know VoIP even exists. We see this as an opportunity and it is exciting to talk to those businesses and help provide a solution that is best for them. To get more information check out our Nextiva Office review here.